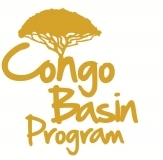 The Congo Basin Program is in its’ final year. Besides the ongoing support of participating companies with certification ambitions, several so-called ‘learning activities’ are part of the year plan 2015. The aim of the learning activities is to draw conclusions on what have been the learning points of the program and be able to share and communicate the lessons learnt. An important part of the learning activities in 2015 is to develop an SFM business case toolkit for concession holders and forest owners managing natural forests throughout the tropics. The toolkit aims to assist with practical advice and assessment tools concerning identification and influencing of sustainable business case parameters (e.g. resource utilization efficiency, yields, number of species utilized, FSC costs and premiums). Best practice experience will be offered that can serve to work on improvement of companies’ business case. The toolkit will be a downloadable document with best practice advice, benchmark information, examples, opportunities and pitfalls. A multi-stakeholder supported project has been developed in 2014 to improve the enabling environment for FSC certification in DRC: a pilot on participatory micro-zoning of a forest concession managed by forest company SODEFOR. This was a pioneer project that can inform and inspire other actors to carry out similar processes. The reports and accounts so far need to be addressed further to elaborate and clearly outline the specific lessons for further dissemination to forest stakeholders in DRC and the wider Congo Basin. A best practice document with a description of the methodology and lessons learned covering this experience will then be produced. The program secretary (Form International) will carry out an evaluation amongst partners, participants, service providers and other stakeholders of the CBP. In the course of the year a questionnaire will be made and semi-structured interviews will take place to find out what our stakeholders think of the program. The outcomes will be analysed and the results will become publicly available. For the conclusion of the program a closing event will be organized in the Netherlands, in November 2015, where the results and lessons learned of the project will be presented. The event will allow a number of speakers to share information on the activities supported by the Congo Basin Program and impacts realised. More information will follow soon.